Washington – Believe it or not, politicians are as fed up with and angry at the runaway campaign money race as voters. It’s almost impossible to get Republican and Democratic politicians to agree on anything these days. But when they’re being honest and they’ve stopped running for office, they see eye-to-eye on one thing: They hate the never-ending money chase, how it degrades them as individuals and how it blocks them collectively from doing the people’s business. If you’re skeptical, consider this: In a refreshing burst of candor and rare bipartisan agreement, more than 100 former Senators, Governors and members of Congress from both parties have joined forces and come out publicly attacking the corrosive influence political money and calling for campaign finance reforms. The money chase is “a cancer” in our democracy that we must collectively cut out, declares three-term conservative Wyoming Republican Senator Alan Simpson. “It is disgusting,” Simpson snorts, to see presidential candidates crawling on their knees begging for money from billionaires. There’s a direct correlation between the gridlocked, dysfunctional Congress and the runaway hunt for MegaMoney, declares former Senate Majority Leader Tom Daschle, a South Dakota Democrat. 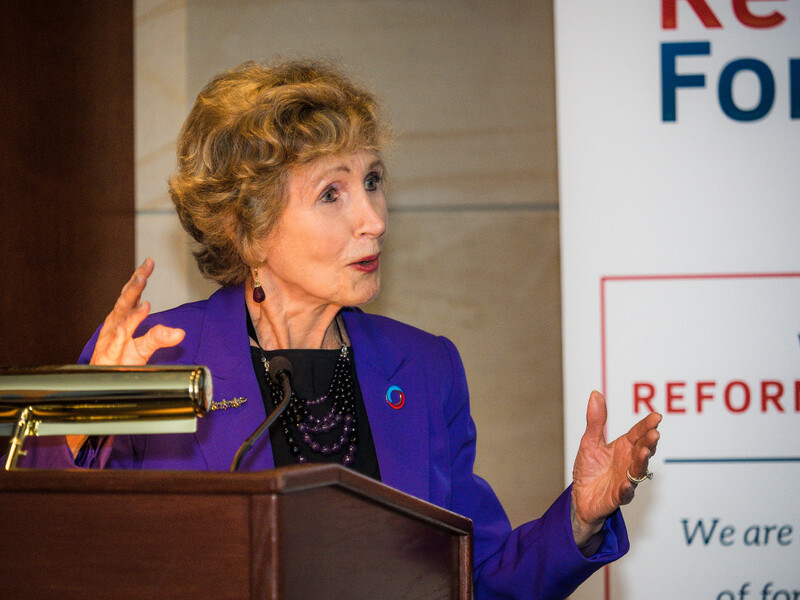 Members of Congress are so consumed by the grind of spending four or five hours raising money every single day, that they literally don’t have enough time to govern, explains Daschle. 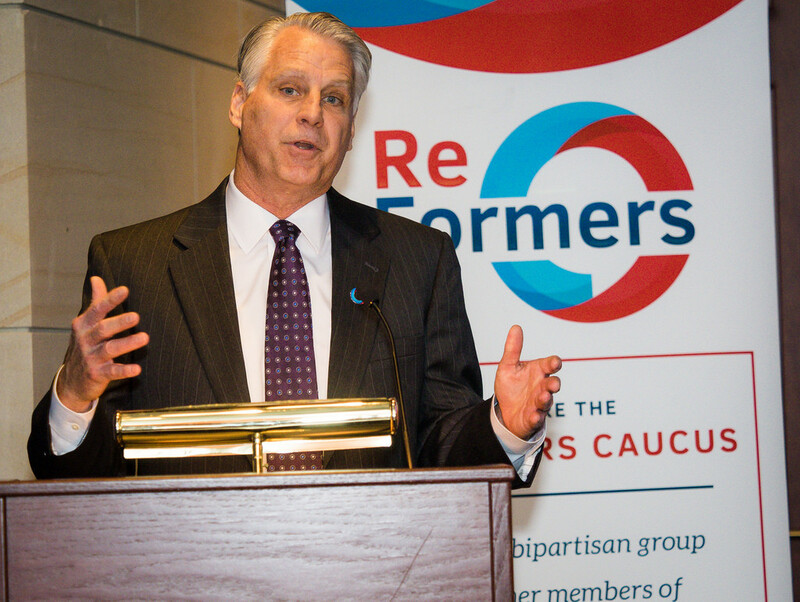 Among those endorsing the ReFormers’ Caucus ad were 29 Republicans and 82 Democrats including a star-studded list of former Republican governors – Tom Kean and Christine Todd Whitman of New Jersey, Mike Castle of Delaware and Jon Huntsman of Utah – and former Republican Defense Secretaries William Cohen of Maine and Chuck Hagel of Nebraska. Among the Democratic ex-governors are John Corlin of Kansas, Phil Hoff of Vermont, Jim Hunt of North Carolina, Richard Lamm and Bill Ritter of Colorado, and Bob Wise of West Virginia. Support for local political reforms, including state and city moves for public financing of elections and programs offering matching funds for small donors. Legal action, or a constitutional amendment if necessary, to reverse the impact of the Supreme Court’s Citizens United decision in 2010 that allowed unlimited campaign contributions from corporations, unions and other entities. “We have the solutions. 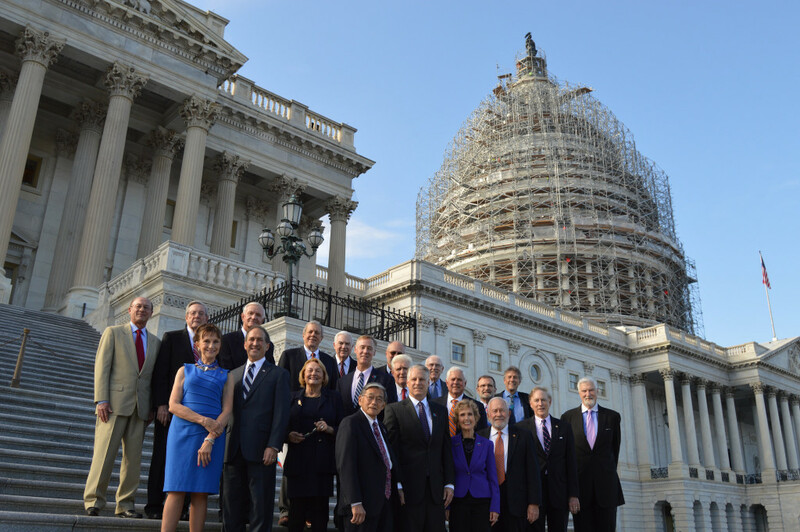 Let’s get to work,” the ReFormers’ Caucus declared. And they intend to help mobilize grass roots civic action for political reform with a campaign of speeches, blogs, opeds, and, next year, a collective call to action. It will be fascinating to see whether these insiders have more leverage than the rest of us with their former colleagues on Capitol Hill. But the battle has begun.